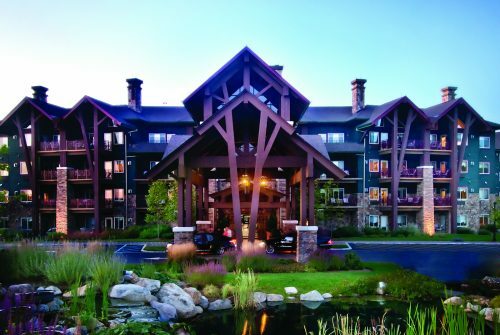 The striking architecture of the luxurious, AAA 4-Diamond Grand Cascades Lodge can be seen for miles across the valley, sitting amongst three world-class golf courses with the Kittatinny Mountain Range providing an immaculate backdrop. Unquestionably the finest property in the region, this Adirondack-style lodge sets the stage for the perfect harmony of luxury and nature’s bounty, creating a four-star escape like no other. To arrange accommodations for the New Jersey Wine & Food Festival, you must call Central Reservations: 855.260.5346, then select option 2.